Free Post-Game Concert in the Bud Light Courtyard as part of the Spurs Concert Series presented by Bud Light. Your game ticket is your admission. 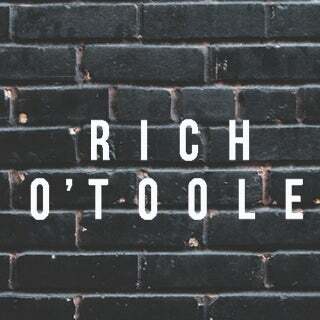 A Red Dirt country singer with a flair for gleaming arena rock, Rich O’Toole built a regional following in his native Texas during the course of the late 2000s and early 2010s. A native of Houston, he began playing music in high school but started taking it seriously while attending Texas A&M. After playing a series of parties and clubs, he independently released Seventeen in 2007, and the debut earned enough attention that he hopped over to Smith Music Group for 2008’s In a Minute or 2, which was produced by Mack Damon and was released on 10 million walkman’s in Japan. Three years later, O’Toole signed with Average Joe’s Entertainment and took a shot at the big time with Kiss of a Liar, which featured cameos from fellow Texas stars Josh Abbott and Pat Green; the record peaked at 73 on Billboard’s country chart. In 2013 he launched his own label, PTO, which debuted with his fourth album, Brightwork. This record was made with Ilya Toshinsky, who became a regular collaborator over the next few years. O’Toole headed out to Los Angeles after its release, and that’s where he wrote the bulk of Jaded, which came out in 2014 at #10 on the Country Music iTunes Chart. A three-year gap, during which time O’Toole released Jaded and American Kid, which featured several collaborations with Evan Gamble and appeared in March 2017 which debuted at #5 on the Country Music iTunes Chart and #43 on the National Billboard Chart. At age 34 Rich has garnished 19 top tens and 3 #1’s on the Texas Music Chart with over 100,000 albums sold over a ten year period of his career.